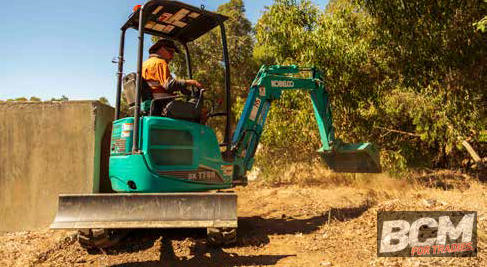 Western Australian family-run hire business Sweeney Hire are finding that small machines are perfect for their line of work, after recently adding another Kobelco mini excavator to their growing fleet. Tom and Mel Sweeney founded Sweeney Hire in 2016 starting with a used Kobelco SK13SR mini excavator. 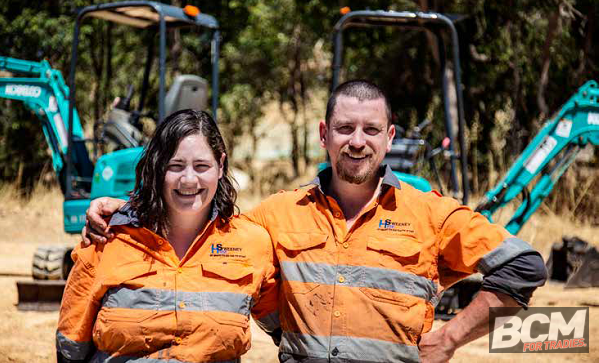 They loved it so much that three years on they now own three SK17SR’s mini excavators and are looking to expand their fleet of Kobelco’s in the future. The business is mainly 80 per cent dry hire, with jobs ranging from small DIY jobs to larger jobs on bigger sites like petrol stations and housing construction. “We try to put ourselves in our customers’ shoes and think what would they need out of a machine? The SK17 is great because it’s so compact and easy to manoeuvre. 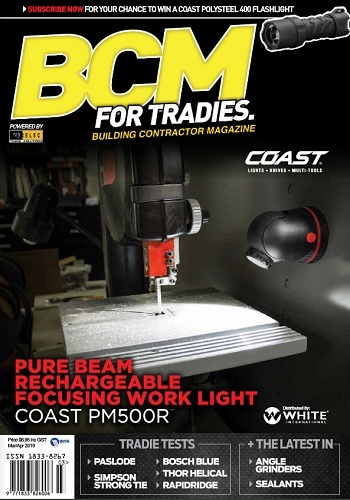 Our favourite feature is the zero-tail swing because it can get into those tight spaces in backyards and smaller worksites,” Mel added. Mel and Tom credit local Kobelco dealer LiftRite as well for their quick and efficient service. “We had an issue once with one of the machines and took it to the Liftrite guys to fix it. They only had it for two days and then it was back with us. That’s important when you’re running a small business because we can’t afford to have one of our machines down for a long period of time,” Tom said. Mel and Tom have added a new machine to their business every six months for the past year and a half and are looking at adding more in the future. “If it’s not blue, then it won’t do, is the motto we’re going by, and it seems to be working!” Tom said.